NORTHBROOK, IL — A 14,000-square-foot youth sports facility in Northbrook Court held its grand opening Friday. The Hi-Five Sports Zone complex includes a basketball court, turf field, event space and a lounge area. The space is located on the mall's second level and aims to serve families across the North Shore amid the ongoing redevelopment of the site. "There is no doubt that a new day has arrived for malls, including Northbrook Court. Our Hi-Five Sports Zone fills a massive void for malls that are seeking dynamic tenants that command consumer appeal," said co-owner Danny Tuchman, who grew up in Deerfield. 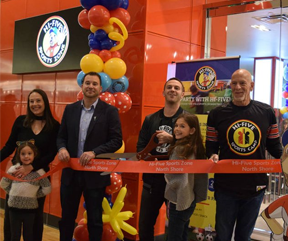 Hi-Five Sports Zone has officially opened its doors in Northbrook Court and invited the community to celebrate in style. To commemorate its recent opening at Northbrook Court, Hi-Five invited the community to join in the festivities. On Friday, February 1, parents, children and North Shore community members came in to tour Hi-Five's new facility, participate in hourly contests, win an assortment of prizes and more. 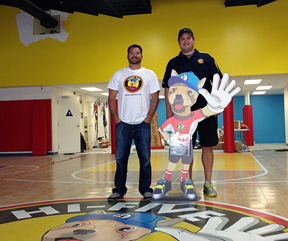 Ryan Tuchman, 41, and Danny Tuchman, 35, are co-owners of the North Shore location for Hi-Five Sports Clubs. Ryan is also the CEO of the franchise and Danny is vice president of training. In 1990, their father, Marvin, started what would become the Hi-Five Sports Clubs to create a brand for youth sports. The business now has locations across the country. The company opened its first mall location at Northbrook Court on Dec. 26 with a grand opening scheduled for Jan. 25. The brothers grew up in Glenview. Ryan lives in California and Danny lives in Northbrook. Now for some retail-related news that may be a bit cheerier what preceeded it. A lease has been signed in the Northbrook Court shopping center in Northbrook by a youth sporting facility for kids. Hi-Five Sports will fill 14,000 square feet at the shopping center, in space that had been a sporting goods retailer. There will be a basketball court and space for football, baseball, floor hockey and soccer. The mall’s ongoing facelift also has a residential component: Owner Brookfield Property Partners also plans to raze a space that had been occupied by Macy’s and build 300 apartments. 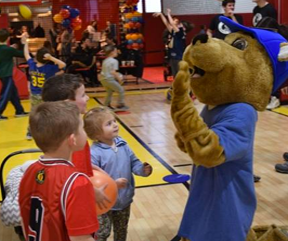 The nationally acclaimed sports program with local North Shore roots dating back nearly 30 years announced today that it is opening a new, state-of-the-art youth sports center in a mall, and Northbrook Court is its home. Just after the New Year, local parents and children will have access to high-quality children’s sports programming at the North Shore’s iconic shopping destination. 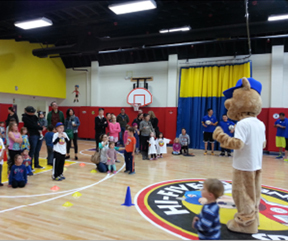 Renowned for transforming and enriching the lives of kids ages 3-13, Hi-Five Sports Zone will serve families in Northbrook and the surrounding communities, including Highland Park, Deerfield, Glencoe, Glenview and more. A youth recreational sports facility is leasing space in the Brookfield Property Partners-owned Northbrook Court shopping center, the latest example of a mall owner turning to a non-retail use to fill vacant space. Brookfield is planning a $250 million overhaul of Northbrook Court. Hi-Five Sports Zone is taking 14,000 square feet at mall at 1515 Lake Cook Road, taking over the former Sports Authority space after the big box store closed in 2016. 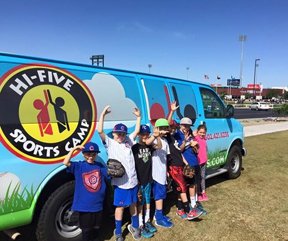 Children's programming is an important part of many facility operations, and like US Indoor's other youth programming providers, Hi-Five Sports Franchising is passionate about helping kids be active through sports while teaching the lessons that go with sports and just having fun. As Marvin Tuchman coached his son Rvan's youth sports teams, he thought programs weren't up to the standards they should be. At that time, the only organized programs were either put on by parks and recreation departments or by organizations like the YMCA. So, he set out to start his own, and Hi-Five was born in 1990. 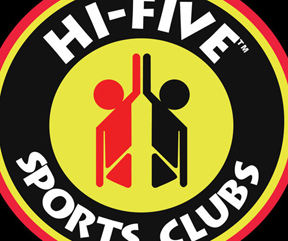 Hi-Five Sports has appointed youth sports and camp industry veteran Howard “Coach H” Rothenberg as Head of Franchise Development to lead Hi-Five’s growth as a nationwide brand. 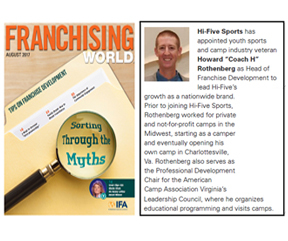 Prior to joining Hi-Five Sports, Rothenberg worked for private and not-for-profit camps in the Midwest, starting as a camper and eventually opening his own camp in Charlottesville, VA. Rothenberg also serves as the Professional Development Chair for the American Camp Association Virginia’s Leadership Council, where he organizes educational programming and visits camps. 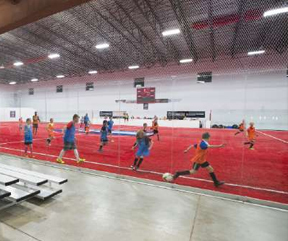 Owners of SoccerHaus, an indoor soccer complex in northwest Colorado Springs are expanding into youth sports with a franchise from San Francisco-area-based Hi-Five Sports to operate youth sports classes, leagues, after-school programs and camps for children age 18 months to 14 years. The local franchise plans to offer its first set of 50-minute classes including flag football, T-ball baseball and "school-yard" sports beginning Aug. 26 at SoccerHaus, 4845 List Drive, said Brett Riding, chief operating officer of SoccerHaus and one of five partners in the complex and the Hi-Five franchise. A new sports facility geared toward youth opened earlier this year in Mount Prospect’s Kensington Business Center. 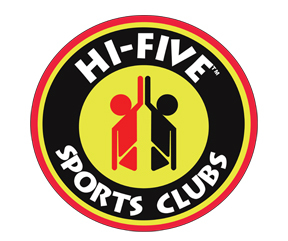 Former Des Plaines resident and 2002 Maine West High School graduate Ian Thomas is operating Hi-Five Players U Sports Club, 412 E. Business Center Dr. 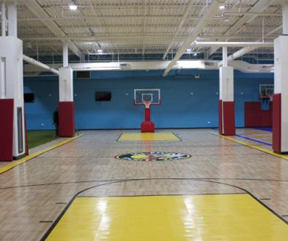 The facility, which caters to children ages 4 and up, is located inside a 30,000 sq. ft. facility containing athletic turf, batting cages, classrooms, a lounge area and a viewing deck for parents to observe programming. Hi-Five Sports, providing the nation’s highest quality youth sports programming, announced today a widespread franchise growth initiative. The strategy positions the brand for expansion into Long Island, where Hi-Five Sports intends to transform and enrich the lives of children. “We have nearly 30 years and a proven model behind us. 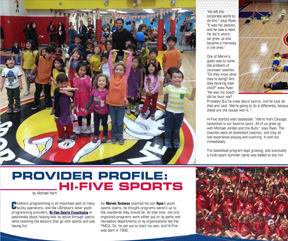 In less than two years of franchising, Hi-Five is already showing itself to be a difference-maker in communities across the United States – we can’t wait to bring that to Suffolk County,” said Ryan Tuchman, CEO of Hi-Five Sports Franchising. HOUSTON– On your mark, Houston – Hi-Five is coming your way! 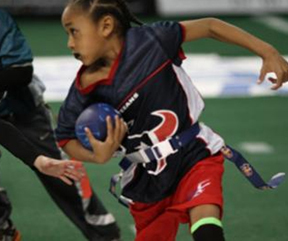 The nationally acclaimed youth sports program, led by professionally trained staff, announced today that it has signed an agreement with entrepreneur Jarrod Gee to elevate the youth sports game in Houston, specifically within Katy, Richmond and Sugar Land. Local parents and their children will no longer have to travel far or launch an exhaustive search for high-quality youth sports programming. Set to open early next year, Hi-Five Sports will serve young athletes and their families in Fort Bend County and the nearby surrounding area. On your mark, Houston – Hi-Five is coming your way! Brian Davis, who owns Hi-Five Sports in Gurnee. Hi-Five offers sports classes to boys and girls from pre-kindergarten through sixth grade. Brian Davis of Gurnee has had such a love of sports since childhood, that he decided to make it a career. 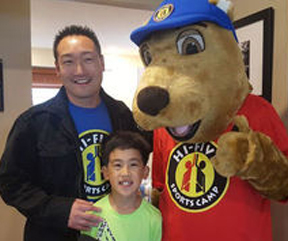 Davis is now owner of the Hi-Five Sports franchise in Gurnee, which provides sports classes and camps for children from prekindergarten through sixth grade. Hi-Five Sports, providing the nation’s highest quality youth sports programming, announced today a widespread franchise growth initiative. The strategy positions the brand for expansion into Dallas, where Hi-Five Sports intends to transform and enrich the lives of children. “We have nearly 30 years and a proven model behind us. 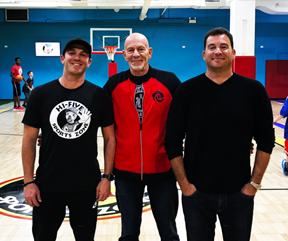 In less than two years of franchising, Hi-Five is already showing itself to be a difference-maker in communities across the United States – we can’t wait to bring that to the Dallas community,” said Ryan Tuchman, CEO of Hi-Five Sports Franchising. Lace ‘em up and get ready Mount Prospect – Hi-Five is here! The nationally acclaimed sports program, led by professionally trained staff, announced today that it has opened in Mount Prospect. Local parents and their children no longer have to travel far or launch an exhaustive search for high-quality youth sports programming. 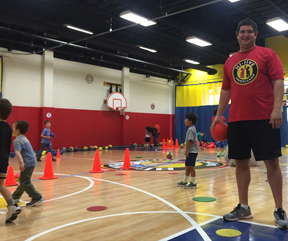 Renowned for transforming and enriching the lives of kids ages 3-13, Hi-Five Sports is now serving families in Mount Prospect and the nearby surrounding area. It’s been two years since Hi-Five Sports Zone opened its doors at 5411 Geary near 18th Avenue, taking over a large space that was formerly a Walgreen’s. The space had been vacant for several years, during which a nasty battle took place over a Petco store taking occupancy. So residents were relieved when Hi-Five finally opened its doors in June 2014. The Bay Area isn’t known as a particularly sporty place. Sure, we have some championship teams to root for, but when it comes to our kids’ extra curricular activities we tend to be more circus school, less Friday Night Lights. But for those of us who grew up learning the values of teamwork, sportsmanship and how to walk it off by playing team sports, Hi-Five Sports Zone, which just opened on Geary and 18th Avenue, offers our little ones plenty of ways to get in the game. The Game Plan. 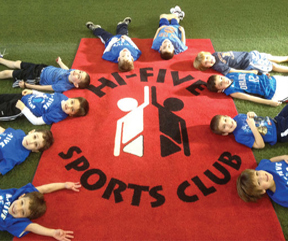 Hi-Five Sports Zone offers classes, leagues, parties and camps for players as young as 2. For several months now, Hi-Five Sports Zone has been building out the former Walgreens space at 5411 Geary. The 5,000 square foot sports facility, designed to host sport classes, camps, leagues and special events, opens this Saturday with a special grand opening celebration. This is Hi-Five’s first brick and mortar location. It started as a family business in Chicago in 1990. The company also offers its programs, designed for kids age 2-10 years, in Menlo Park, Atherton and Scottsdale, AZ. For owners and operators of multi-sport facilities, the demands, hectic schedule and rigors of the job can be overwhelming. Not surprisingly, hosting a variety of sports leagues is a balancing act that requires consideration and careful planning. Yet for facilities that host NFL FLAG powered by USA Football leagues, operators are finding that the benefits largely outweigh the work required to provide members with a chance to play America’s favorite sport. The sound of bouncing basketballs in the Arrillaga Family Gymnasium is what you’d expect, yet different. That’s because the kids with the balls are pint sized. 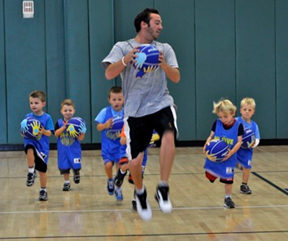 Hi-Five Little Ballers is a new program for three- to five-year-olds offered through the City of Menlo Park by the Hi-Five Bay Area Sports Clubs, which is run by Nate Birnbaum, long known in the East Bay as a top youth golf instructor. 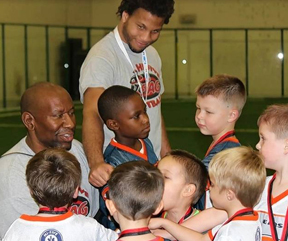 While new to the Peninsula, Hi-Five has been running youth sports program in the Chicago area for 20 years.